Why dont Digital Humanities folk talk to Computational Linguistics folk, and vice versa? It was a lovely event – fun, and informative. I particularly enjoyed meeting Eduard Hovy, and hearing his talk about issues in training question and answer systems, and the way they parse questions we set them. I met some good people, and heard some interesting things. 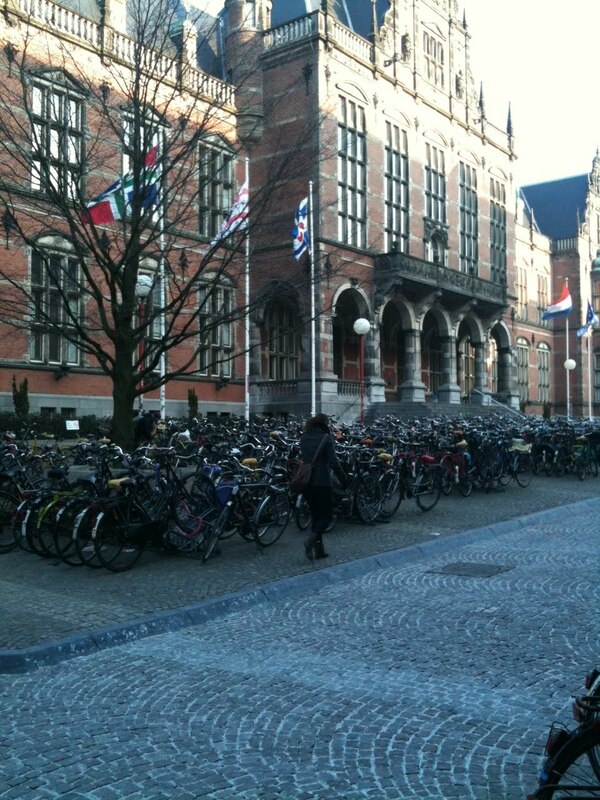 Groningen is a lovely University town, very vibrant. I managed to include a couple of hours in my schedule to have a bit of a wander, which is becoming more important to me as I travel away from home. If you dont manage to see the place at all, it just becomes a veeeeeery long commute to give a half an hour, sometimes hour long, lecture. In my recent trip to Portugal, I managed an hour to go and see the Frida Kahlo exhibition, in Groningen I had an hour to trawl round fleamarkets, finding some cool dutch tat. I have upcoming trips, in the next month, to Edinburgh, Paris and Munich. Its all good – I enjoy the travel, tend to get lots done when I am away from home, get one or two good night’s sleep, meet new people – and if I’m lucky, get a wander round a city, and enjoy the chance to explore.